The Avg. Group Saves 22.6%! We stayed for a cheer competition. Hotel was clean, staffed well and a great experience overall! 12-Jan-2019 Verified Review, stayed from Fri Jan 11 to Sun Jan 13 2019 at a $156.50 average nightly rate. The room was very nice and comfortable. Thanks to Caroline was able to check in early. 13-Nov-2018 Verified Review, stayed from Sun Nov 11 to Mon Nov 12 2018 at a $62.58 average nightly rate. Staff was Professional and Knowledgeable Hotel was clean and all obligations met. 31-Oct-2018 Verified Review, stayed from Sat Oct 27 to Mon Oct 29 2018 at a $129.00 group rate (17% discount). 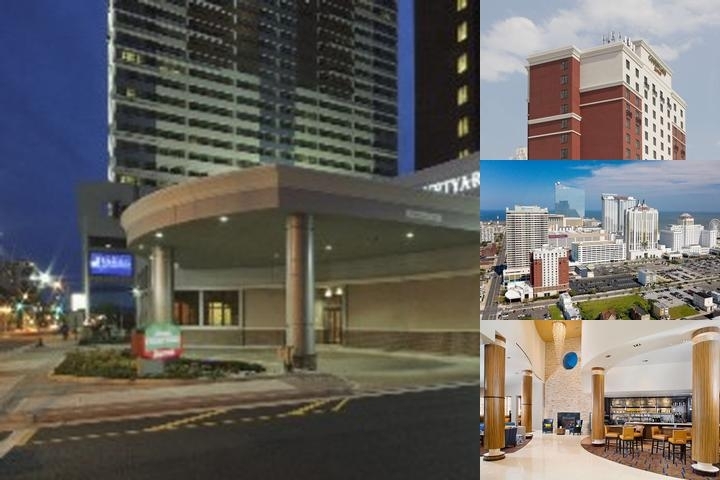 The Courtyard by Marriott® Atlantic City Hotel is located in the heart of Atlantic City and all of its exciting adventures on the beautiful Atlantic Ocean coast of the Garden State. With all of the comforts and quality you have come to expect from a Courtyard by Marriott®, this hotel offers guests easy access to all of the area casinos, shops and the famous Atlantic City Boardwalk. Whether traveling for leisure or business, the location and amenities of the Courtyard by Marriott® in Atlantic City is the perfect setting for your stay in the city. Guests will appreciate the warm welcome by our friendly and professional staff as you join us in Atlantic City. No pool but do have a 24 hour exercise room plus since we are on the beach block, seasonal swimming in the ocean. Group cancellation policy 30 days prior to arrival. Individual cancellation 48 hours prior to arrival. Courtyard Breakfast Bistro, a la carte, order off the menu. 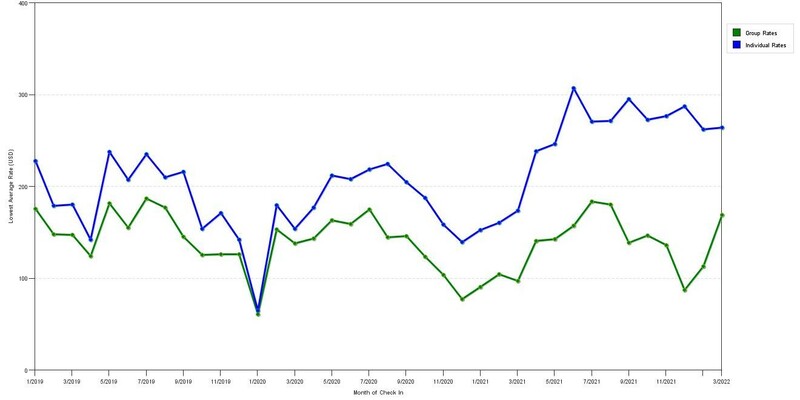 The chart above shows averages of prices for both group/meeting rates and the best individual traveler rates our rate checker could find at the time the group offer was placed. The most competitive group rate shown is 50.3% in August 2017 and the highest average individual rate is $314 in the month of August 2019. This chart will show past seasonality and also project future months. If you are flexible with dates, you may want to consider staying at Courtyard by Marriott Atlantic City in a month when rates are lower. 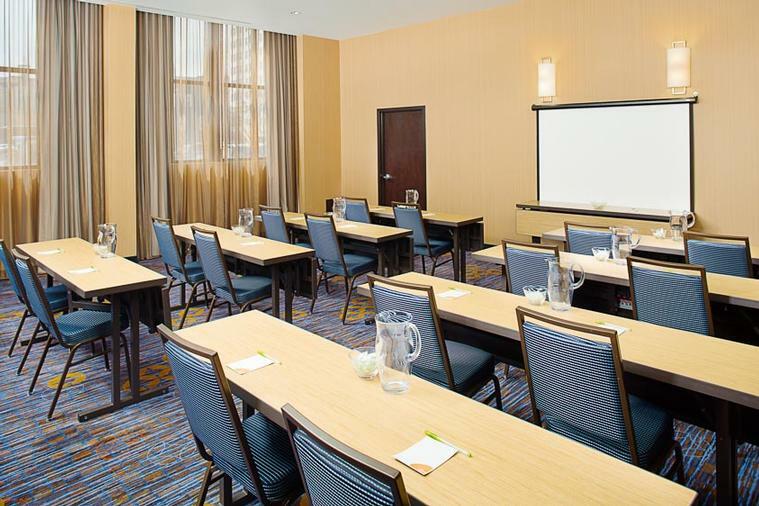 Below are the meeting, banquet, conference and event spaces at Courtyard by Marriott Atlantic City. Feel free to use the Courtyard by Marriott Atlantic City meeting space capacities chart below to help in your event planning. Hotel Planner specializes in Atlantic City event planning for sleeping rooms and meeting space for corporate events, weddings, parties, conventions, negotiated rates and trade shows. 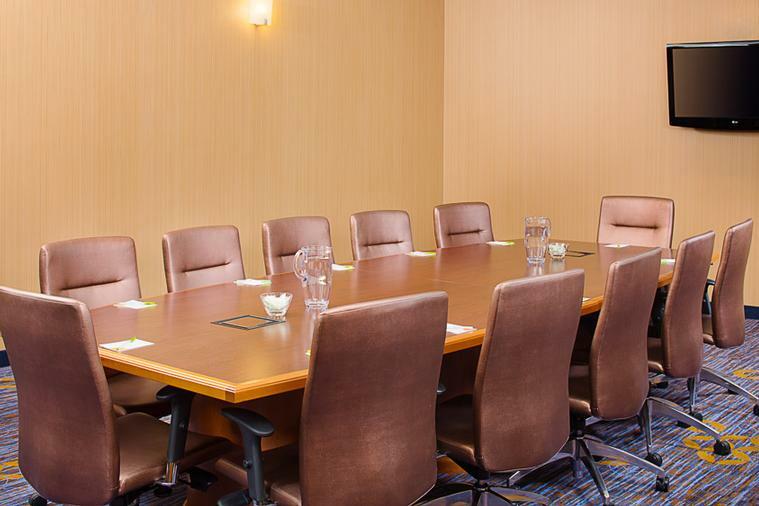 26 x 18 x 10 Ft.
Meeting room rates are flexible based on sleeping room quantity and/or Food/Beverage volumes. 35 x 35 x 12 Ft.